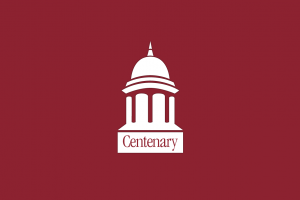 SHREVEPORT, LA — Centenary students, faculty, and staff will gather in Brown Chapel for the annual President’s Convocation on Tuesday, August 28, at 11:00 a.m. This ceremony to formally open the College’s 194th academic year features an address by Centenary President Dr. Christopher L. Holoman and a performance by the Centenary College Choir. The event is free and open to the public and community members are encouraged to attend. In an address setting out broad themes and goals for the 2018-2019 academic year, Holoman will reflect on the power of individual and collective stories and how these stories create meaning and advance learning. The President’s Convocation also serves as the College’s official welcome to new students, many of whom have just returned from nine days of intensive study in Paris, France as part of Centenary’s one of a kind Centenary in Paris program. The program is celebrating its 5th anniversary this year. Classwork for Centenary’s fall 2018 semester begins August 27. In addition to Holoman’s address, the President’s Convocation ceremony includes music from the Centenary College Choir and the presentation of the student Honor Court by Honor Court Chief Justice Cherie Groninger. The public is also invited to an open house at the recently renovated Centenary Archives and Special Collections during the afternoon following the President’s Convocation. The Archives, located in Magale Library Room 6B, will display material from some of its collections and offer behind-the-scenes tours of the renovations funded by grants from the Centenary Muses and the William C. Woolf Foundation. All are welcome to come and go between 1:00 and 5:00 p.m.